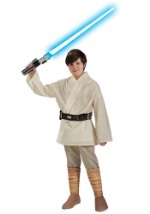 This Luke Skywalker kids costume is a great Star Wars Halloween costume. 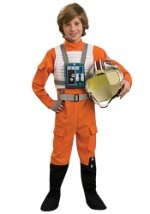 The tan outfit has a tunic style shirt with foam printed belt and pants with shoe tops. 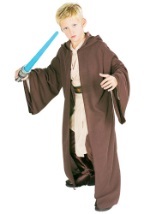 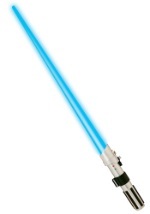 Add Luke Skywalker's lightsaber to this Jedi costume and outshine all the other Jedi.